I’ve made some progress on my Downton Abbey leaders/enders. I now have nine blocks of thirty finished. It is growing on me! I also got the borders on my lattice quilt and put it on the frame. Time to figure out how to quilt it, though I likely won’t get to that until I return from our trip. I am participating in the bow tie swap being hosted by Barb over at her blog, Fun with Barb. I chose my fabrics and have my pieces cut. Finally, I appreciate all the input of the background fabric for my Brinton Hall quilt I decided on (feels like there should be a drumroll here!) choice number three. I have lots to do this week to prepare for our trip. I will try to schedule some posts ahead of time as well as blogging about quilty things I find along the way. Mr. Wonderful seems quite good at finding quilty things while we travel! 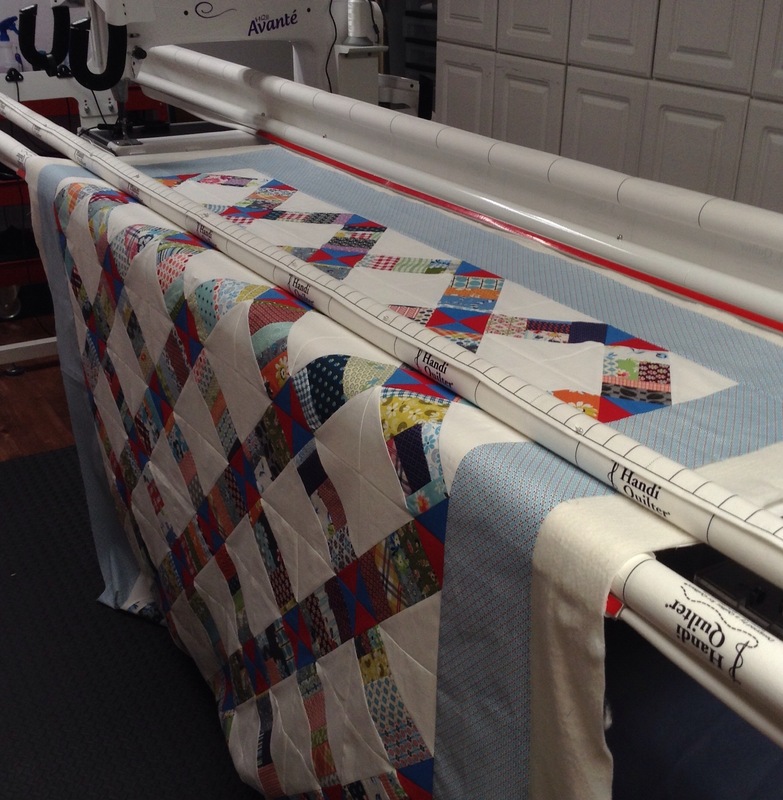 Linking up with Patchwork Times and Cooking Up Quilts. #3 was my favorite as well. Anxious to see the finished quilt. You’ve really done a beautiful work Katy ! 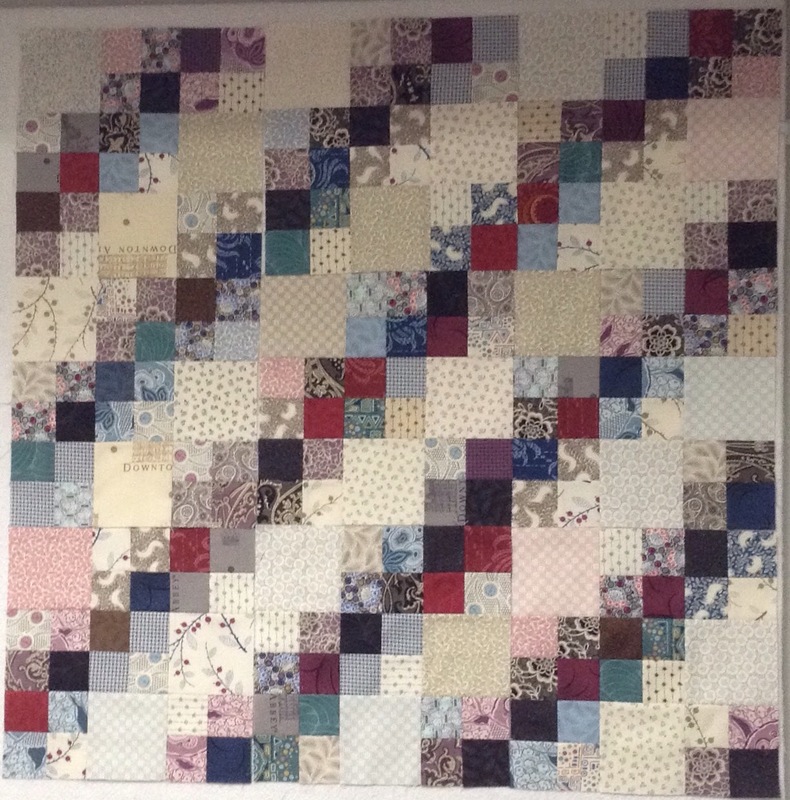 Love your blocks with Downtown Abbey fabrics and your Brinton Hall is growing up ! 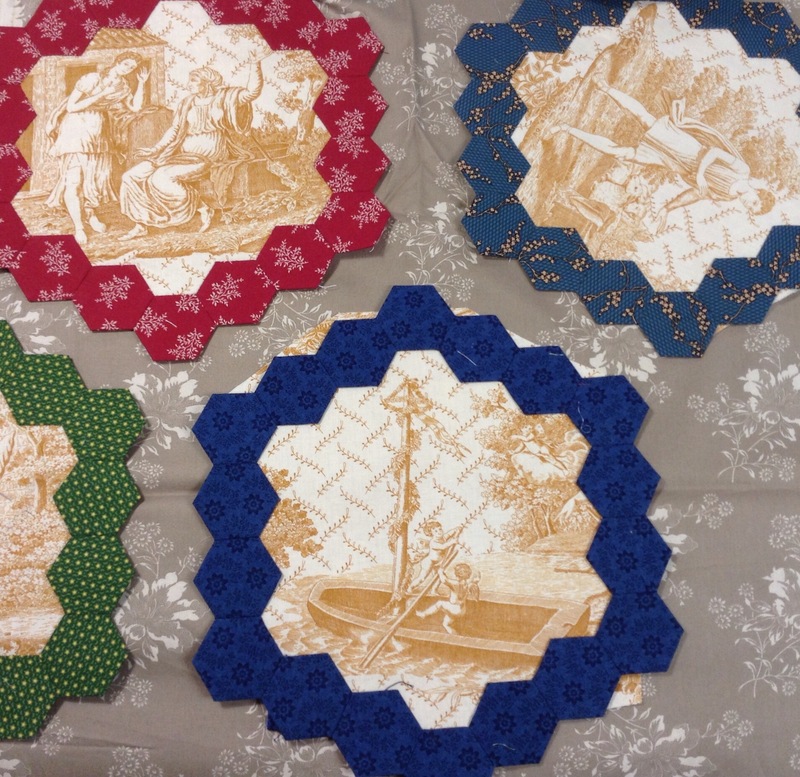 I love the lattice quilt that you’re working on and I think your choice on the hexi was perfect! So pretty! 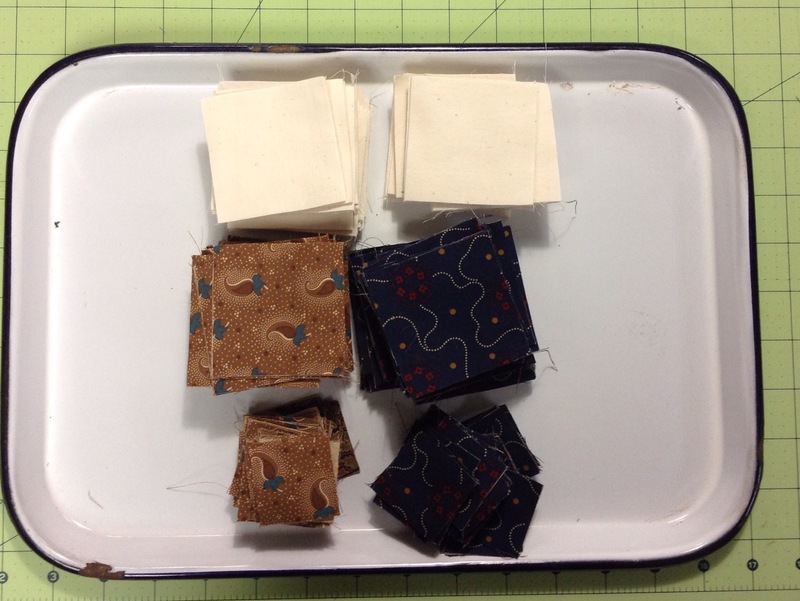 I’ve been so busy that I am behind on my blog reading … but I went back to check on the options for the background fabric for your Brinton Hall. I like the one you chose best, too. When are you leaving again … and in which part of the state do your in-laws live?